The village of Alma Center is governed by a Village President and a Board of Trustees. The president is elected for a 2 year term as are trustees, with elections held in April for Trustees and President. 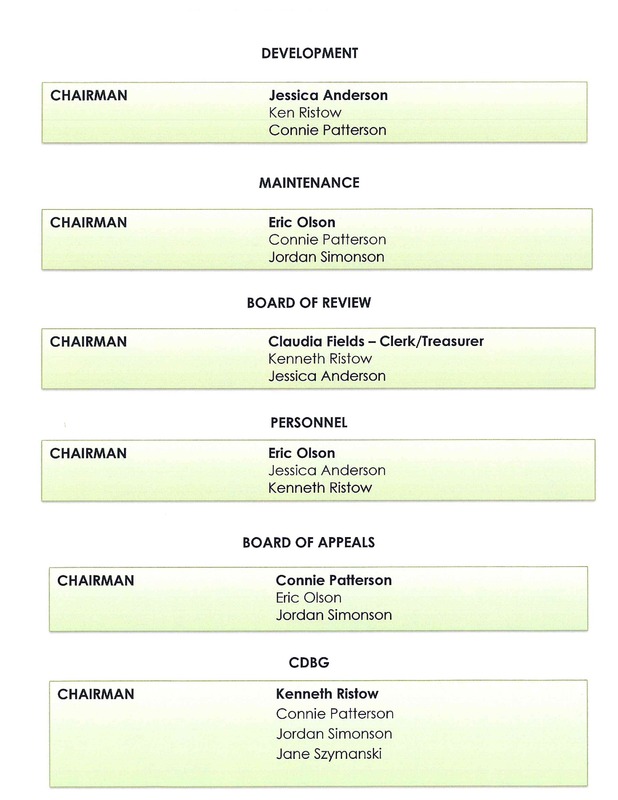 Trustee elections however are annually, as their terms are staggered with three members up for election or re-election this year, and the remaining three and the President are up for election or re-election next year. The day to day operations are taken care of by the Village Clerk and Deputy Clerk, as well as the Department of Public Works. The Village Board meets every month to discuss issues and address concerns of the citizens and the village itself. The meeting is open to the public, who are encouraged to attend. Meetings take place on the 2nd Monday of every month at 6:30PM. If you have an issue you would like the Board to discuss, it must be on the meeting's agenda. To get your request heard at the meeting, a Board Member must add it to the agenda. 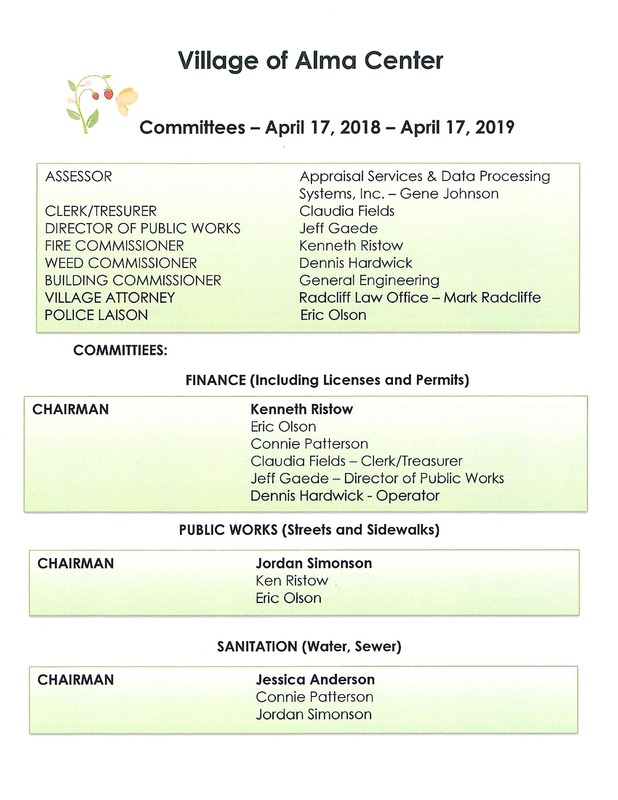 Below you will find the listings for the current President and members of the board, as well as contact information for the Department of Public Works and Village Clerks. (Clicking on the individual's name will open your default email program. Alternatively if you do not have a default email program their email addresses are also listed separately). Additionally you will also find contact information regarding Police, Fire, and Schools. The Village of Alma Center is patrolled by Officer David Hartl, and can be reached at this number:715-333-5407. The Village of Alma Center is also the jurisdiction of Jackson County Sheriff's Department. Their number for Non-Emergencies is: (715) 284-5357 and for Emergencies dial 911. The village of Alma Center has a Volunteer Fire Department. Jeff Gaede is the Fire Chief for the Department. Direct contact of the fire department is not recommended, as it is a Volunteer force. You are encouraged to contact Emergency Services directly by dialing 911. The Village of Alma Center is part of the Alma Center-Humbird-Merrillan School District, and is home to Lincoln Junior/Senior High School.